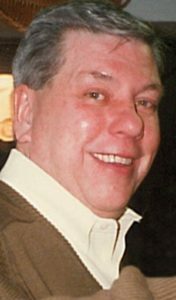 Roger Thomas Burke, Sr., 74, of Lancaster, formerly of Cincinnati, Bucks County, and Philadelphia, passed away on April 4,2019 at Hospice & Community Care, Mt Joy, Pa. He was born July 31, 1944 in Pittsburgh, Pa. and attended school at-St. Athanasius, Cardinal Dougherty, and Temple University. Mr. Burke had worked in manufacturing management. He enjoyed playing golf, cooking, all sports and his latest passion was exploring with Google. Roger is survived by; wife, Miriam Rose (Schreiber) Burke; sons Roger Thomas Jr (Christine Homer) and Brian McNally (Marion Andrews); and brothers Richard (Shirley) and Ronald (Mary). Grandchildren: Casey Ryan, Madison Holland Cadiz (Robert), Lily Rose, William Andrews. Great grandson: Jamison Cadiz. Nephews and Nieces: Ronald, Dennis, Kevin, Maureen Spang, Debra, and Denise Aske. Sister-In-Law, Lucille Beecher, Nephew Jason Beecher (Julie and father to Mia). Former spouse and the mother of his children, Patricia Ceschan (John). Funeral Services will be held at 11 am on April 13, 2019 at the Lutheran Church of the Good Shepherd, 750 Greenfield Rd, Lancaster, Pa. The family will begin receiving guests at 10:00 am. In lieu of flowers, please donate to the Lutheran Church of the Good Shepherd, at the above address. Love was holding your hand. Love was drinking coffee together. Love was my heart jumping when I saw you. Love was seeing your smile. Love was finishing each other’s sentences. Love was not having to say anything at all. Love was dancing around the floor in your arms. Love was acting like kids together. Love was seeing the twinkle in your eye. Love was knowing just the right words to say. Love was the way I felt when I saw you. Love was that hug that comes at the perfect moment. Love was kind. Roger was a truly unique person. I knew him well back in the 70’s. We had a lot of fun together. I remember your wedding I was the one with the eye patch. We all will miss his laughter and the good times. so incredibly sad to hear about Roger’s passing. May you find comfort in your many fond memories and may he rest in peace in God’s loving arms. Miriam – Our thoughts and prayers are with you and your family. So sorry to hear. May you find comfort in the wonderful memories you made together. Miriam, please accept our deepest sympathy for you and your family. Roger will be missed, but keep all those good memories alive to help you and your family through this time of grief. Our thoughts and prayers are with you. Our thoughts and sympathy to and you family. Keep Roger close in your hearts and he will always be near.